We're usually not one to cover the various live-reading events that happen primarily in Los Angeles unless relevant to recent films like Anchorman or Quentin Tarantino's The Hateful Eight (which is now headed to production this fall). 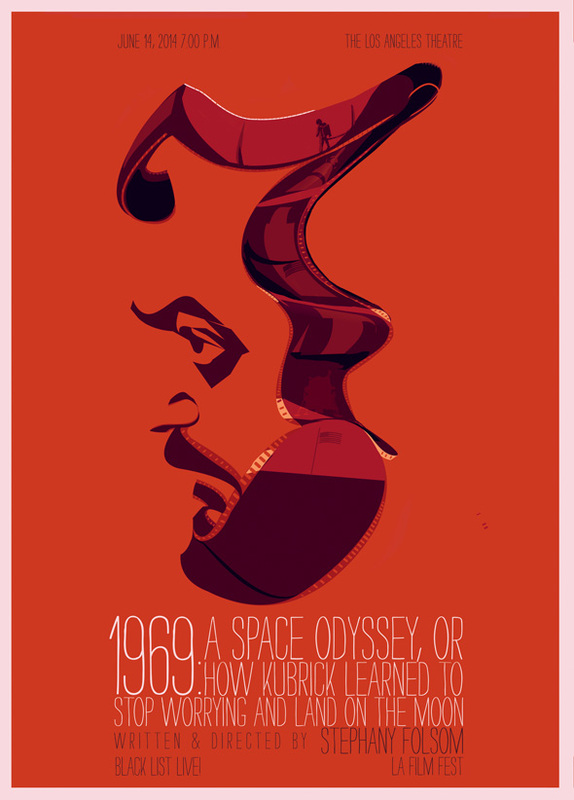 However, a new live-read series from The Black List was just too cool to pass up, mostly because of the cool poster created for the event that will feature a live reading of Stephany Folsom’s 2013 Black List selected script 1969: A Space Odyssey, Or How Kubrick Learned to Stop Worrying and Land on the Moon. And they've announced part of the cast for the event too. Look now! For those who aren't aware, the film takes place in 1969 when NASA’s Apollo program was in trouble and the Soviets were threatening nuclear war. A female PR operative conspires with NASA’s Public Affairs Office to stage a fake moon landing in case Armstrong and Aldren fail, the goal being to generate public excitement that will aid the U.S. in winning the Cold War. But the op is faced with the biggest challenge of all: Filming the fake lunar landing with temperamental Stanley Kubrick. And the cast they've hired is great. Kathryn Hahn plays the lead White House Public Affairs assistant who hires Stanley Kubrick, who will be played by "Mad Men" and Sherlock Holmes: A Game of Shadows star Jared Harris. In addition, Thomas Sadoski of "The Newsroom" has the role of NASA Public Affairs administrator Julian Scheer and Shannon Woodward of "Raising Hope" plays Stanley Kubrick’s assistant, Kara Downs. The event takes place downtown at the historic Los Angeles Theatre on Broadway on June 14th. Limited tickets are available for $20 via the Los Angeles Film Festival. Once sold out, full price tickets will be available online for $40.